FREE Children’s Bilingual Book Festival, Saturday, April 27, 9:00 a. m. to 5:00 p. m., NHCC, 1702 4th St. SW. Student storytellers, workshops, book fair, and more! Active Shooter INFORMATIONAL Session by APD. Saturday, April 27, 11:00 a.m., Don Newton Taylor Ranch Community Center, 4900 Kachina NW. Contact Pete Gelabert at pgelabert@cabq.gov for more information. The Barelas Photo Exhibit at the Barelas Senior Center, 714 7th St. SW, shows now through April 27. To learn more about the exhibit and the history of the Barelas Neighborhood, contact Julia Guerra at julia.guerra@comcast.net. South Valley Pride Day, Sunday, April 28, noon to 6:00 p. m. PARADE STARTS AT 11:00 A. M. Enjoy a car show, food trucks, kid events, vendors, artisans, and the live music of Chevel Shepherd! For more info call the Westside Community Center at (505) 314-0176. The National Senior Games needs volunteers! The Games will be in Albuquerque June 14-25. Volunteer here. 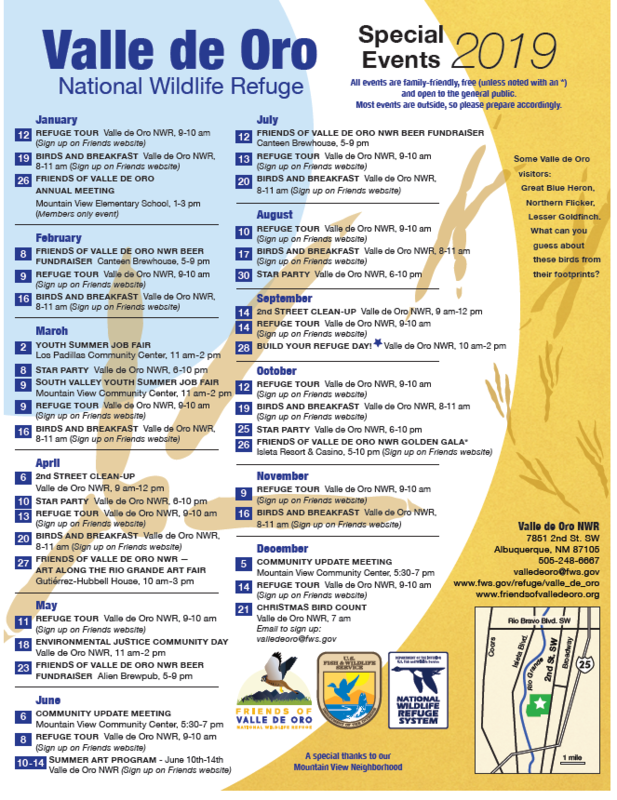 The April Historical and Cultural calendar is now available. Good stuff! here. GREEN WASTE PICK-UP DAYS, Fridays May 3, 10. Put bundled or bagged green waste out with regular recycling and trash. The Paws and Claws Family Festival application deadline for food trucks and vendors is Friday, May 3 at 5 p.m. Find the applications online at Paws & Claws Vendor. The Festival is Saturday, May 18, at the Bernalillo County Animal Care and Resource Center, 3001 Second Street SW, from 11:00 a. m. to 4:00 p. m. JOIN THE FAMILY FUN! The New Mexico Humanities Council invites you to Stories on the Sleeve: Connecting with Album Cover Art, a fascinating exhibit of album covers from private collections that describe the album’s significance in a person’s life, weekdays through Friday, June 21, 9am to 4pm, New Mexico Humanities Council, 4115 Silver SE. Any person residing within city limit may apply for the Police Oversight Board. Qualified applicants are placed into a pool of candidates available for future appointment when vacancies occur. Apply. For info about the POB and Civilian Police Oversight Agency (CPOA), visit the web site. On the first Sunday of every month, there is FREE ADMISSION for NM residents to the NM Museum of Natural History and Science in Old Town. FREE ADMISSION at Albuquerque Museum each first Wednesday of the month. First Friday of every month enoy FREE ADMISSION to the Balloon Museum. Remember the free ARTScrawl events. The Offcenter Community Arts schedule is here. Food Pantry donations are being accepted for the City Food Pantry Program. Food pantry services are available at the Alamosa, East Central, John Marshall, and Los Griegos Health and Social Service Centers five days a week. Contact marmijo@cabq.gov for more info. Volunteer opportunity as a Sunport Ambassador. Apply online. Learn about safe needle disposal and the SHARPS program, including pick-up events for your neighborhood. here and use it to report problems and get information. SeeClickFix.com is another way to report something to the 311 system. You may connect your home security camera to the Security Camera Analytical Network (SCAN) by going here.